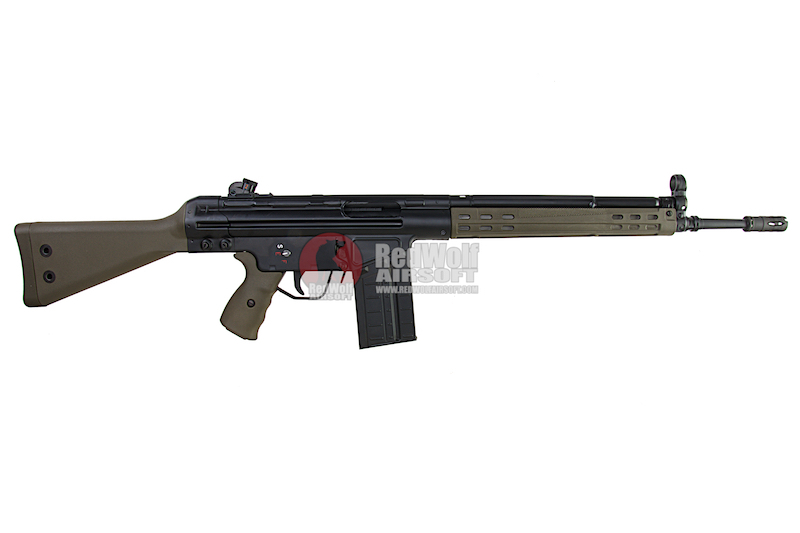 Fully Licensed Umarex G3A3 by H&K. 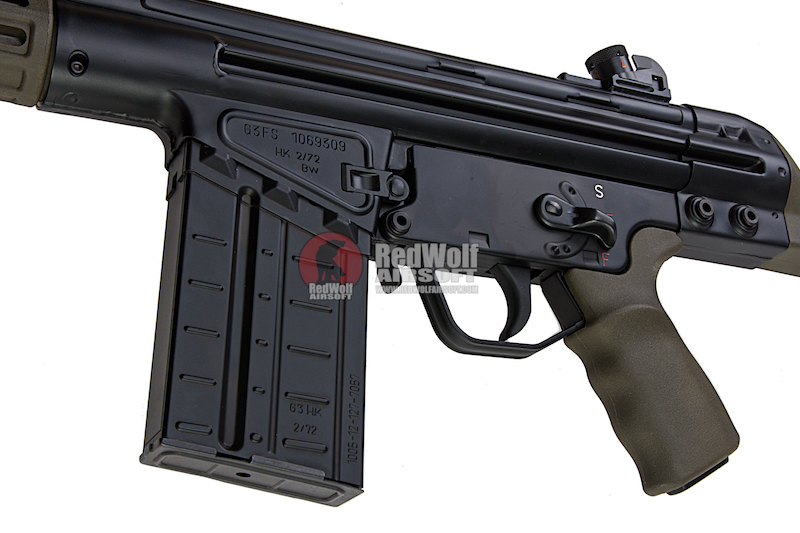 Magazine Compatibility - Umarex H&K G3A3 Gas Magazines. The origin of this rifle can be traced back to the final years of World War II when Mauser engineers at the Light Weapon Development Group (Abteilung 37) at Oberndorf am Neckar designed the MKb Gerat 06 (Maschinenkarabiner Gerat 06 or "machine carbine device 06") prototype assault rifle chambered for the intermediate 7.92x33mm Kurz cartridge, first with the Gerat 06 model using a roller-locked short recoil mechanism originally adapted from the MG 42 machine gun but with a fixed barrel and conventional gas-actuated piston rod. The Gerat 06 would later be adopted as the StG 44 (Sturmgewehr 44 or assault rifle). It was realized that with careful attention to the mechanical ratios, the gas system could be omitted. The resultant weapon, the Gerat 06H (the "H" suffix is an abbreviation for halbverriegelt or "half-locked") was assigned the designation StG 45(M) (Sturmgewehr 45(M) or assault rifle) but was not produced in any significant numbers and the war ended before the first production rifles were completed. The G3A3 is most well known version of the G3s. 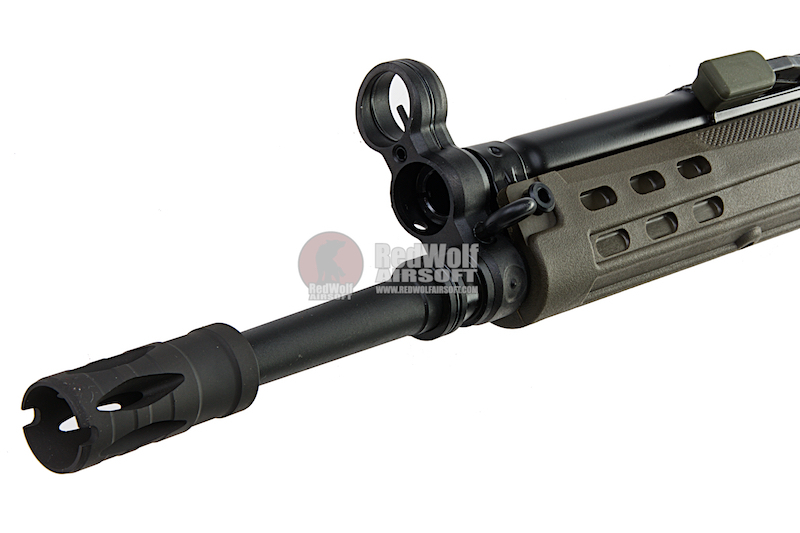 It sports drum sights, a fixed plastic buttstock, and a plastic handguard that does not contact the barrel. 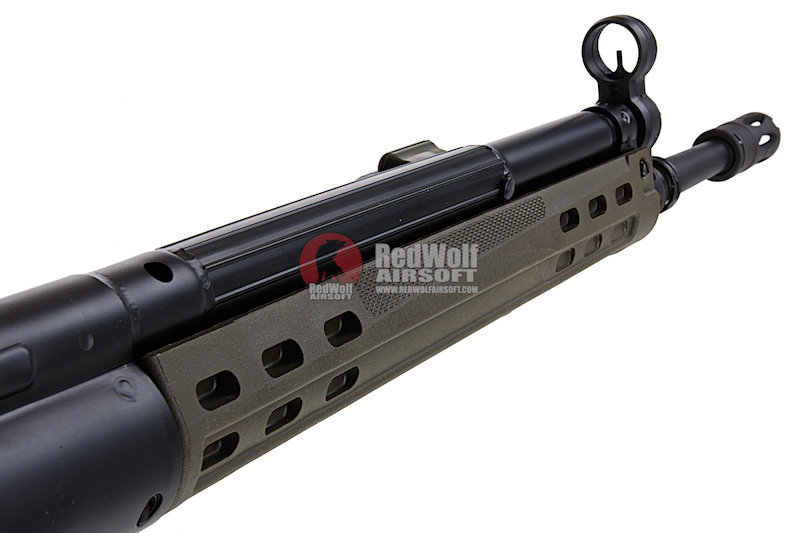 The handguard came in a slim, ventilated version and a wide version. The latter allows for the attachment of a bipod. The airsoft version here is a faithful replica of the original. This gun also features the slim ventilated version of their signature handguard and plastic stock. 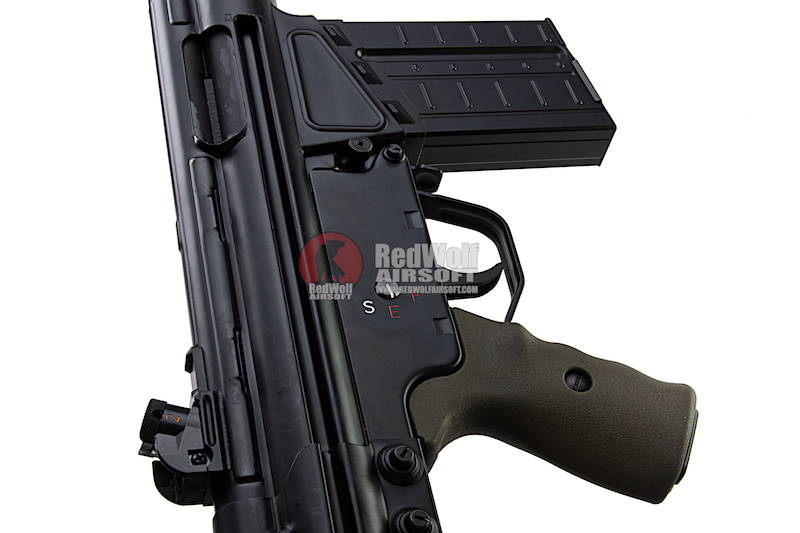 The gun has exceptional recoil impulse and high gas efficiency due to it using VFCs latest generation gas system. 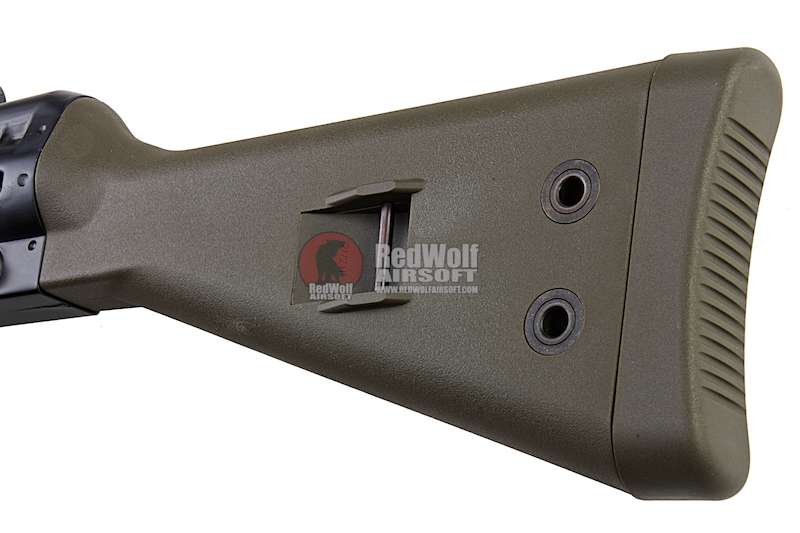 Adding to the realism the gun features a realistic trigger group and provides last round bolt hold open. You can also set the gun to allow for dry firing too. 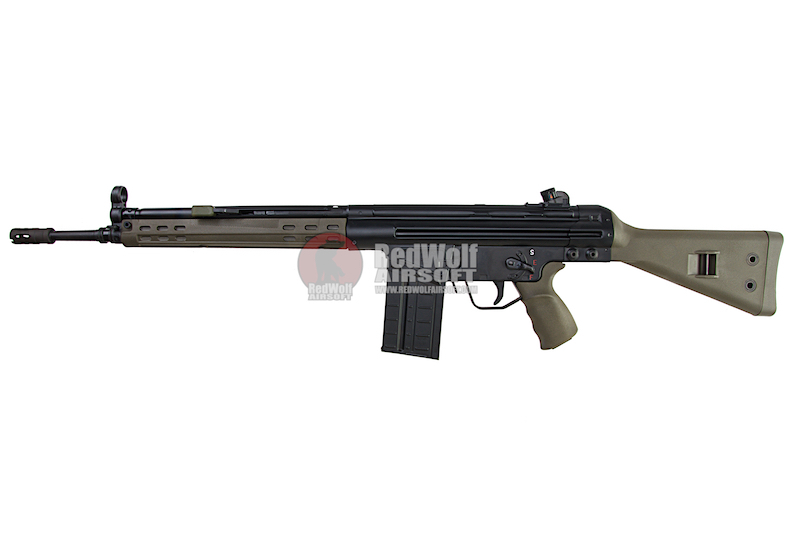 x1 Umarex H&K G3A3 GBBR (by VFC). x1 20 Rnd Gas Magazine.